​It's time for the April Allure Beauty Box which is in collaboration with Carli Bybel. This is a really good box this month, spoiler. As always, Allure sends me these boxes. I don't have to post about them but I want to that way it may help you see what is in them each month and decide if you would enjoy it. There's a tab under "Categories" on this blog, for the Allure Boxes specifically that has the other months in it. The links in this blog post will be affiliate links. You don't have to use them of course. The February Allure Box finally got here. On the last day of February. I'm not sure if it was just my box and I don't mind waiting because they send these to me. I did, however, want to mention that it was late in case others were late and that way you'd know it's not just yours. Hello guys, I hope you're having a killer time kicking off the new year. Yes, this post will be about the Allure Beauty Box for January. Yes. you will be sorry you missed it. Yes, it tops all the other boxes so far. I thought the last one was the best.....no this one. Until they top this box, which I'm sure will happen. This box is worth around $140 you're getting two unreleased skincare products in it that won't be out until March...I think. It's epic. Greetings! We’re going to get away from gift guides today and talk about the new Allure Beauty Box. It’s a good one. Not to mention you can get it for $7.50. This month’s box was put together by Nikki Tutorials and she killed it! There’s not 1 but 3 full size products in this. ​Ok so this month's Allure Beauty Box was all about masks.....and I mean it face masks. I'll leave you to decide if this is right up your alley or not. Let's get into it thought, as always. ​Hello again! It's time for another Allure box and I must say this did not disappoint! As always I will leave my affiliate link on the post, yes I do get money if you use it, no this isn't sponsored or "required" for me to post about. 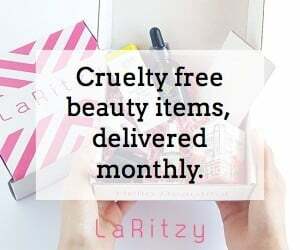 ​Allure Boxes are something I've been getting for a while and sharing more on Instagram but I'd like to break down each month's box from this point on. They really stepped up their game and started including 1 full size product at least in each box. So I'm going to go ahead and link the Allure Beauty Box sign up. It is an affiliate code for myself but also it will get you $5 off your first box. After that it's $15 a month and you can stop it at any time. So in this box we got some really neat stuff.